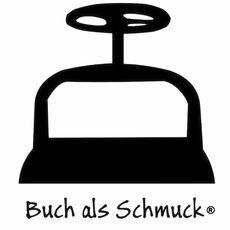 In German, means: "Book as a gem". Earrings, rings, bracelets, necklaces, keyrings created under the concept of books; unique handmade designs with paper and leather. The perfect gift for booklovers! Unique miniature Necklaces handmade binding. Mini Notebook. The hardcover is made of leather, a small metal figure as an ornament, colorful paper pages and a very special handmade knot. Truly small books, with leather covers and paper pages. Choose the perfect gift for your booklover. Stay tuned for the upcoming events where we will participate! Do you want to learn basic technique to bind your own books? Are you interested in the arts of books and wants to learn how to make a book? Please feel free to contact us, we give classes of two hours at home with a minimum of 5 people up to a maximum of 15 people with a cost of 20 euros per person with materials included. commonroom is a space to create, where we meet and learn from each other and share our passion for ceramics, arts and design. We like to see our studio as a "creative hub", where people gather around creativity and share their know-how with each-other! At commonroom there are many activities for all ages! 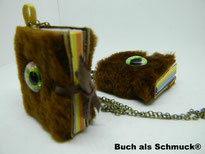 Each piece has been carefully created and crafted by Flor Trillo, who is a mexican librarian living in Vienna (Austria). 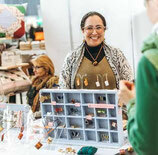 As a new micro-entrepeneur, she hopes you can fall in love with these jewels. 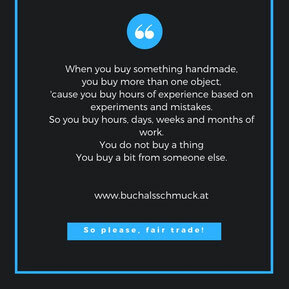 Buch als Schmuck - Book as a jewel, offers you not only accesories that reflect your own personality, but also knitting pieces: like crochet cotton tableclothes or a really original gloves. 'cause you buy hours of experience based on experiments and mistakes. So you buy hours, days, weeks and months of work. You buy a bit from someone else.